Looking For First Aid Training? 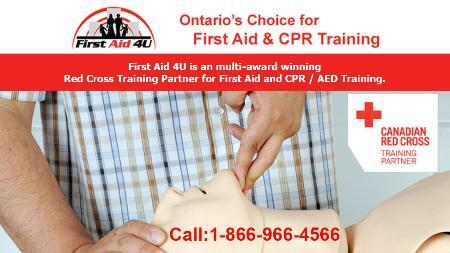 First Aid 4U offers First Aid and CPR Training Courses in North York. First Aid 4U is Ontario’s Multi Award Winning Red Cross Training Partner Of Red Cross First Aid and CPR training courses and certification in North York and throughout the GTA. Public courses are offered on both weekends and weekdays at our North York training facility each month.